Thank you Sir for the detailed history of Eko and Lagos in his entirety. This is a comprehensive history from our royal father. May you live forever sir. The additional history we read from ancient books is the fact that the first Oba of Benin itself was Oramiyan. fully known as Oranmiyan Omoluabi Odede, prince of Ife, the last born of Oduduwa. After Oramiyan was Eweka 1 (1180 to 1247), and Ovoranwe Nogbaisi who ruled from 1887 to 1914 was the 36th Oba of Benin. Oramiyan was never the first King of Benin, If Izoduwa known to the Yoruba’s as Ooduwa, being an exiled prince from Benin and the first King or Ooni of Ife, how would his son Oramiyan be the first king of Benin? To me, it doesn’t add up. We have 36 ogiso before the coming of oromiyan….yes he was the first oba of Benin we have two dynasty,ogiso and oba.oranmiyan was the son of oduduwa….oduduwa was a prince in benin Kingdom…oduduwa was sent on exile from benin…he found himself at ile ife where he settled. That history and its author told lies. A well established kingship system existed in Benin for well over two thousand years before the Ikaladeran’s saga! If for the purpose of arguments, was Ikaladeran’s father not a king of Benin before him? Are you aware that Oronmiyan was restricted to Usen by Evian and his son after him who ran a transitional government after the death of Owodo, the father of Ikaladeran (the mythical Yaraba Oduduwa) for over 30 years? Do you think the change of dynasty from Ogie Oghe Oriso (Ogiso), which means trusteeship of God’s kingdom on earth to Oba (Omo N’oba N’Edo) which means the glory of Benin suggest that kingship started with the Oba dynasty in Benin? You need to read more, from independent authors, prefarably. If you need physical facts of what you have just read, consult the Benin institute. They will not only take you on a voyage of history never known to you but will show you landmarks from those events. His palace is not at enu owa, but idun ganran. Bini history in Lagos didn’t started with oba Ado, but Asipa. History, confution, the fist Oba was Atitebi the tenth son of Original Oduduwa. Oba Akiolu is a poor student or graduate of History!He needs to consult widely and extensively if he is not sure.The records are there for everyone who cares to see.A drowning king should not be so desperate and shouldexercise caution in attempting to forge alliance with another king outside is tribe.He should not destroy the culture and tradition of his people just to gain cheap popularity and relevance among people who are not his people.The conduct and utterances of a kind in his domain is what determines whether he will command general acceptance from his people and respect by non indigines.Lagos is part of Yoruba kingdom and south west Nigeria.No amount of distortion of facts will erase truth.No king has the right to ridicule his people and attempt to rubish Yoruba History,culture and tradition.Among the comity of Obas and comity of yoruba towns/kingdoms,such an Oba must be call to order. Truth indeed hurts most especially when ones heart is buried in lies and deception. I urge you to humble yourself and learn sir and not to castigate some else for his opinion. The vast communities,towns and villages are headed by Obas, bales and chiefs.The towns and villages yorubas as their indigenes.The benin people came to Lagos and were assimilated in to the Yoruba tradition and culture and they started bearing Yoruba names.No yoruba man has ever been named a benin name in Lagos.Let’s read between the lines!What is the percentage of Yorubas that lives in Lagos and what is the percentage of benin people that lives in Lagos?There is no need to continue this debate.Events and further evolution as well as future coronations of Oba of Lagos will will reveal the ownership/true indigenes of Lagos.Looking at the geographical expressions of Lagos alone shows Lagos is in Yoruba Land.The influx of other tribes to Lagos was due to the fact that Lagos is a coastal city and also because Lagos used to be Capital of Federal Republic of Nigeri.But for these two factors,Lagos would have remained a city populated by over 95% Yorubas. What does he know best? Before the arrival of Benin people to Lagos there are settlers already, Lagos was not forestry area, whosoever came from Benin was welcomed by the original settlers of Lagos no matter how powerful he was, let call a spade a spade, oba Akiolu predecessor never underrated or underestimated Yoruba people.. is it because what happened between Oono of ode and ova Akiolu made him to come out with this unwelcomed history to the new generations? Obama became American president no one care about the history., what is the landscape of Lagos island compares to all other parts of what is called Lagos today, esimi agbaja, e jawo lapon ti o yo, ke lo gbomi ila kanan. I am a king in my own kingdom. I ask you Mr. Obakayode, is ‘ OBA ‘ the name of a king in Yoruba or ‘ Oni ‘ . and if not why the king in Lagos is having such Benin name as a king in your so called Yoruba land ? What is your alternative history, because the history as narrated by Oba Akiolu has facts backed with dates, names, events, places and people. D Oba took time to analyze d history of Lagos to d best of his knowledge.lf u have a contrary history of Lagos take time also to briefly analyze ur own,let us c whose history tells d right one. Before the Kings of Benin Kingdom where called Oba. They were known as Ogiso of Benin. Excuse my spelling. Meaning ruler of the sky. Oduduwa was the son of Ogiso king of Benin Kingdom. His son who came back to Benin was know Oba. Starting the rule of Oba’s. So my friends you are not wrong when you said the 1st Oba of Benin was Oramiyan. The Yoruba’s need to understand the distinction between the title Oba and Ogiso of Benin. Ogiso was pre Oba. The Title was changed by Oduduwa descendant. Oduduwa was the exiled son of Ogiso. The former title of the King of Benin before they where know as Oba’s. Bcos oba of lagos said the truth? We all knows the truth that lagos is not own by the yorubas hahaha. All hail great biafra. BENIN KINGDOM CAN NEVER BE SEGREGATED FROM ILE IFE.THEY ARE BOTH AUTONOMOUS EXTENSION OF EACH OTHER WITH ILE IFE AS THE SPROUT FROM, ORIGIN AND THE GENESIS OF THE EXTENSION. The West African history has Benin as the oldest in Nigeria, how come Ife the origin?It doesn’t add up. You are wrong my friend. Benin is the origin of the King of ife. Thank you teach the yorubas their history since they dont believe their own oba of lagos. Happy to know that the Oba was not hurt in the inferno that occurred at his palace. K’ade o pe l’ori , ki bats o pe l’ese. Kabiyesi o.
Wishing the Oba long life and good health. Lagata should go back to school to study the history of Lagos very well, before the bini came to Eko there are people in Eko though i was not born then but i was part of that historical play about Lagos and with the script given then even when the bini’s arrived Lagos there was a kind fight between them and the then Lagoshians but later settled before they finally settled in Lagos. Why this history now, why didn’t his predecessors come out to say what he is saying now? I have always known oba Akiolu to be a proud person, this is coming out because the present ooni is younger and in high authority and he doesn’t want to give him that respect being the person he knows too well before ascending the throne. Its a lie oba of lagos say the truth. Lagos is not own by yorubas we all have seen the truth. All hail great biafra. Biafrans don’t have anything to do with your so called Lagos which is not of Yorubas but Benin kingdom and developed by the Hebrews – ( igbos of Biafra . ) the real sons of God . Go and check it in every history the Igbos worship the supreme God ‘ Chukwu-Okike-Abiama ‘ . The only think the Yorubas can do is . using the Hebrews -Igbos to open churches in every city in the zoo called Nigeria , just to make money while their god is not original God, The god and religion of Yorubas is called ( Orisha ) ‘ Shango’- ‘ meaning ‘ Thunder ‘ the god of destroyer ‘ which you can see in their characters today through their so called media in the zoological country called Nigeria . You are correct bro, either Oba Akiolu likes it or not ooni of ife will always be respected more than him everywhere, ile ti on toro, omo ale ibe ni ko tii dagba. Ennnn again I don’t know if Benin people came to Lagos with eyo masquerade,, pls help me ask our history lecturer? The story of Kingship in Lagos started on Ashipa who is an Awori man,before the advent of Prince Ado & his bini warriors through the waterways!!! The Aworis consisting of all the Idejo clans are the original land owners of Lagos,both mainland & the island,they are the children of Ashipa who was the first king in Lagos. While Prince Ado became the first King of Lagos from the Bini clan, after Ashipa . what is the struggle here? is it about who owns lagos or how lagos came about. are we saying that the other nationalities who also came to lagos not by conquest or exil but by commerce in the seventeent and eighteent centuries through the river have no claims in the settlement saga?,,,the ijaws of bayelsa delta and rivers,the ibo merchants and the kanuris etc? For other contributors to this historical view of lagos,let us learn to be magnanimous in receiving historical lectures.If we have an opposing view,let us learn how to write it down like the oba has done.We should be humble in the way we address our elders not to talk of addressing a natural ruler.God has placed these people there for a purpose and for a time like this.And when we critique,let us try not to be antagonistic and insultive.I do not know the oba and have never met him but I am mindful of how I address elders not to talk of leaders but I think he has done a nice job in this regards. I quite share your view. There is no contention over Lagos between the Binis and the Yorubas but it is however crystally clear that the Binis are linked to Lagos and the Yorubas. Except those who want to rewrite history, that fact cannot be expunged. It is therefore not sufficient ground to use foul words when His highness Oba Akiolu of Lagos threw light on the history of the Binis and the Yorubas. One of the unfortunate detriments of the social media is that everybody has unrestricted right to insult those who do not belong to their school of thought. For those who are responsible, opinions could be exchanged without resorting to offensive words or statements but for those who are morally decadent, ranting and cursing are their trademarks. Well, history was removed from, our school curriculum and thus people have been discouraged from recognizing useful histories including those that make us distinct people among nations. The Oba being from pre-history-banned era was able to put down this interesting bundle knowledge, I think he deserve kudos. The hand cannot cover the moon (Aka ekpuchighi onwa).Unfortunately everything here in Nigeria is politics, Lagos will never again be called Benin Kingdom or Benin Empire so why all the insults. If someone has got a better history of the Eko wow oooo he is free to put it down in detail rather than raining abuses on the author of the excellent history. Long live the Oba of Lagos. As a historian I take delight in historical works but we should not forget the fact that the level of biasness determines the authenticity of any written history. The Oba might not be out of place because Benin history has passed through ages and well documented. What I want to quarrel with is the absence of the roles played by early Serrea Leonian settlers in Lagos. Crazy people with stupid histories. U all have food on ur table, that’s why u can remember all these trash. most of all these present king are in politics with at least a thin line that runs from the lowest political seat to the presidency. Most of them can define the word poverty but never had an experience of it….not even an iota of it. Hear my own history about lagos!! The prices of food stuffs are affordable in the year 2,000. Now right now, it has risen higher then the intensity of the sun in the summer time. All what they know is to sell land and demand taxes of different types. Can the kings and everyone of u remember the history of house rent within the period of 20yrs back , compared to now? Those unbelievable kings do sit with our politicians, have meetings with them and party with them. But none of them boast of fighting for the survival of their people. They only fight for posts. FOR UR INFORMATION!!!! 5 days ago, a 1year old girl died overnight as a result of heat accompanied with generator smoke (carbon 2oxide) . No power supply! U might be experiencing the same thing in ur house or palace, but remember that not everyone have the kind of ur opportunity. U an buy comfort for yourselves but not everyone can. Pls be a king that will have a forever history, the king that fought for his people in his days. U can’t do all, but do something that will keep u living in our hearts. Tnx. God bless you sir, may u live long amen. The oba has said it all, he clearified most of the misconceptions about the history of benin and and its relationship with the ife and lagos. From him, the aworis are benins, the oduduwa and his descendants are benins. The cradle of yoruba history therefore takes its root from benin. I strongly believed the naration of the oba, because being a prince in the royal house, he knows better than the outsiders. His own side of the history is from father to son kind, back up with written historical records from generations beyond and not necesary dig up history being given to us by story tellers. His is more informative and credible because it is from the source. So long ashipa was an awori, he too was a benin man along with his descendants. The deception of old is over. No wonder most lagos streets have benin names. This whole saga is principally based on ethnic chauvinism and jingoism otherwise as we all know, every great city of the world is built from the contributions of so many different people who arrived at various times in the history of such a place. If Nigeria were to be enlightened and properly run all the contributors should be made to be part of the place and not by any particular ethnic group claiming the space and making others strangers. No one should be a stranger in a place like Lagos. Lagos is not just important because of being on the coastline but should be a unifying state or city for all Nigerians because they have all contributed in its building. We must not treat Lagos Like Sokoto or Abia, those are provincial states, Lagos is not. We have to see things in the context in which the King of Lagos said what he said. He must have better knowledge and has reeled out facts and figure that no one has countered. All we are reading here are emotional outbursts and wishful thinking. Like most things in this our lovely quagmire of a country. This is the only republic that I know that still has monarch. Lagos is too important for all this ethnic grandstanding. 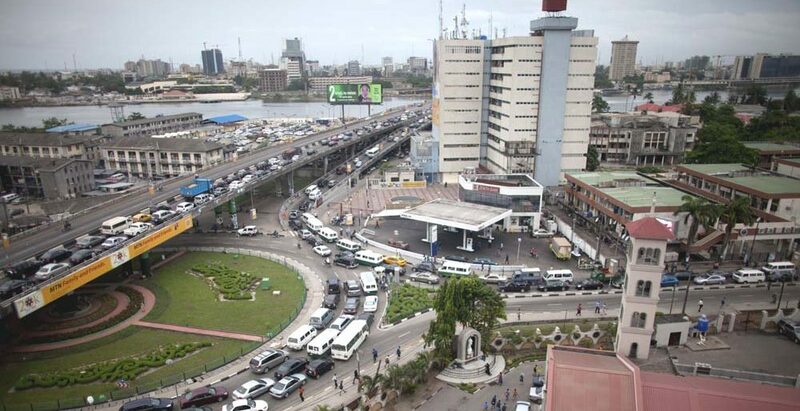 All who want the good of Lagos should stop all this we own Lagos nonsense because it will help no one. OK all history accepted where did Benin originated from. ?who founded d the tribe bini or they are just like gods some body should let us know,Yorubs said they are from ile I’ve through oduduwa,right,where did binis emanated from,from who&where? Oba of Lagos, in a bid to distort the fact, backs outside and urinates inside the house because he is not ready to accept the reality, the facts shall emerge very soon. do you think, there would be any need to start searching for other facts about the narratives done by the Oba himself. from whom do we get authentic facts from, he is the steward of their own history and culture. so looking else where would lead us going to black market to obtain the inferior knowledge about what has has been addressed and dealt with. YOUR QUESTION SHOULD NOT BE WHERE THE BINIS CAME FROM, IT SHOULD BE WHERE DID ODUDUWA COME FROM? AND WHO IS HIS FATHER? When truth is said some people will want to commit suicide. The binis is one of the oldest acient city in nigeria. The oba has a vivid account of how lagos started. If you have your own account,back it with dates just as oba Akiolu has done. Nice account from Monarch himself. We should not be oblivious of the fact that Akiolu is an ex police officer and we know the features of a typical Nigerian Police.They thwart and twist fact to implicate their preys!!! An Oba humiliates another Oba few weeks later he published an account of his historical descent. Something is fishy. Truth cannot be covered. Even the Oba of Lagos in his distorted history admits that the palace in Lagos is called ‘Iga Iduganran ‘ The word ‘Iganran’ is an Ijebu word for pepper which he also admits ! How come his so called Benin ancestors gave their palace an Ijebu name and not a Benin name ? If you read the history of the Ijebus, you’ll find that the land of the Awujale of Ijebu Land extended to the coast from Ijebu Ode and encompasses Lagos to Dahomey in Benin Republic before the bloody British came to colonise the whole place and cause all this confusion. I think the Oba of Lagos should swallow his pride, say sorry to the Ooni of Ife, the acknowledged cradle of the Yoruba race and trying to rewrite history. We now know why the Oba of Lagos snubbed the Oni of Ife recently. One thing is clear, the Yoruba history will not complete without the mention of the Binis and vice versa. The Binis and the Yorubas are interwoven in every area be it in culture, religion etc they are inseparable and nobody can break the bond. To further confirm this bond, the Olori of the present Ooni is a daughter of a Bini high chief. This is not a mistake but by divine design. until today, Average Benin man can trace his history and ancestors back to 200 years, because it is passed from father to son and so on. i am 35 years old, i only knew my grand father, from history, i know his grandfather.